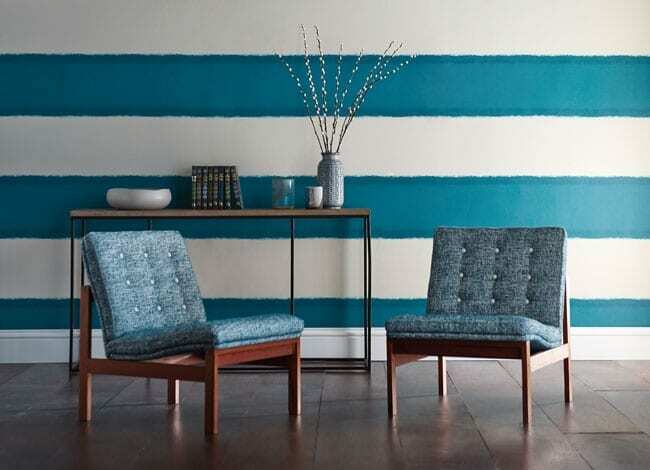 Welcome to this week’s modern and contemporary wallpaper offering and I can’t tell you how much I love this one! Well I’ll try, of course. This is from Harlequin Landscapes collection, called Vista in shades of Ink, Mandarin and Smoke. Evocative of patchwork fields viewed from above, I just adore the colour combinations and geometric look of this print. If you’re looking for a wallpaper to compliment a modern, mid-century or retro theme this one is it. If these colours aren’t your kind of thing don’t panic, there are several very different colour ways too. How about Plateau from the Landscapes collection? Aren’t they just gorgeous! 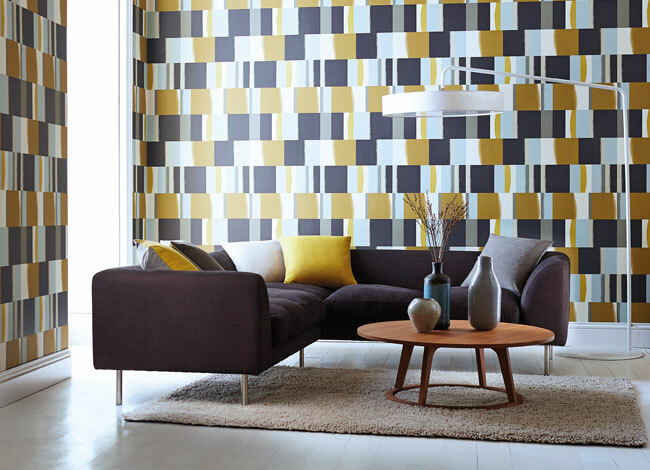 I’m a big fan of Harlequin wallpapers and they do have some very modern, contemporary collections. In terms of pricing, both Vista and Plateau are £42 per roll, whilst Tranquil retails at £50 per roll. Really? Hehe, they are quite bold aren’t they. Good in a larger space perhaps. They are strangely disturbing but I do like them. Perhaps you could put them in the hallway to put visitors on the backfoot!